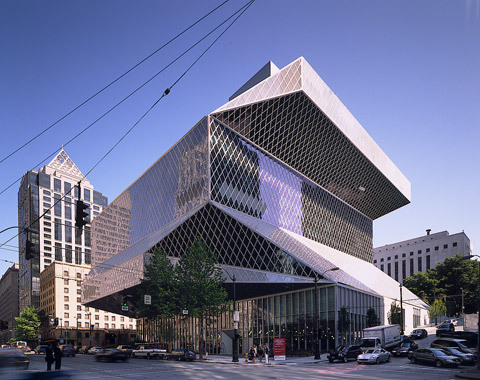 The world famous Central Library in Seattle stands out in particular for its inclined girders and elaborate steel construction, which also provides protection from earthquakes. 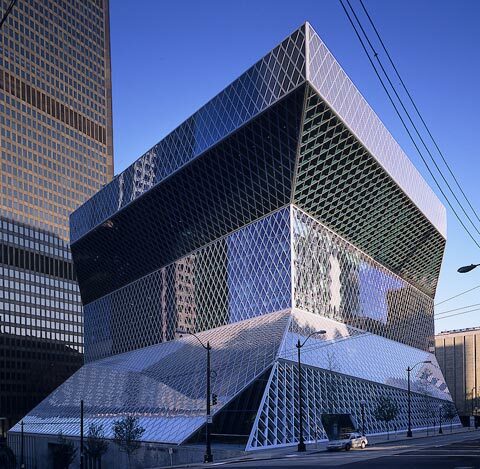 Its façade is covered with a huge rhombic mesh. 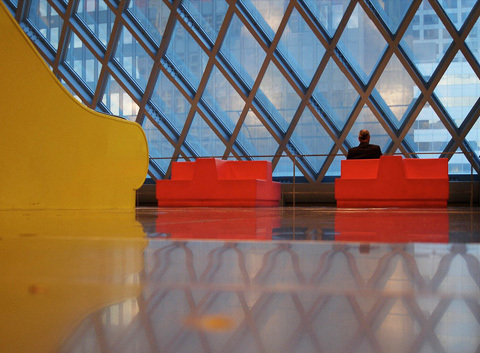 10,000, for the most part diamond-shaped, insulating glazing panels, half of which feature individual dimensions, are fitted in it. 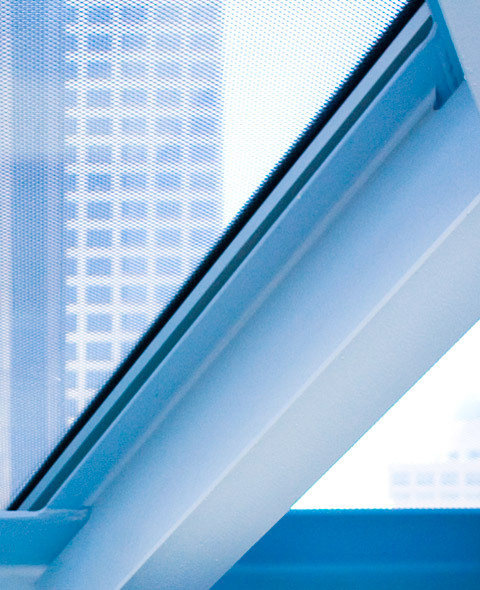 Most insulating panes of glass have an expanded aluminum insert made by Okalux. 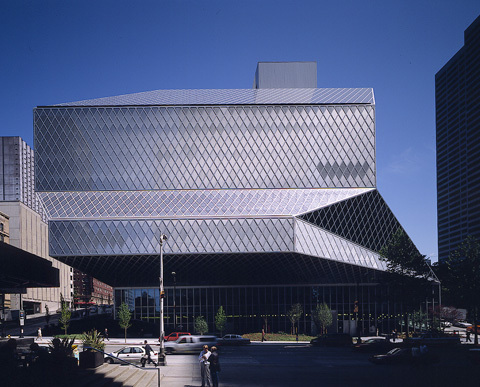 The "Okatech" brand panes, which were developed for this particular structure by the renowned architect Rem Koolhaas from the Office of Metropolitan Architecture, lend the outer skin a metallic sheen, allowing it to shimmer appealingly in the sunlight. 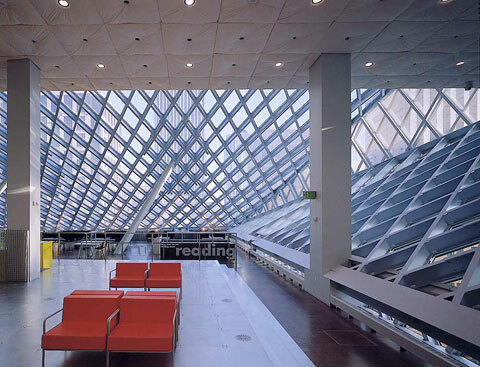 For library users, the insulating glazing creates a soft light in the interior reading areas and serves both as a sunscreen and anti-glare shield. Rem Kolhaas refers to the building as the "Guardian of books", describing it as a "platform for information, exchange, communication and reflection". 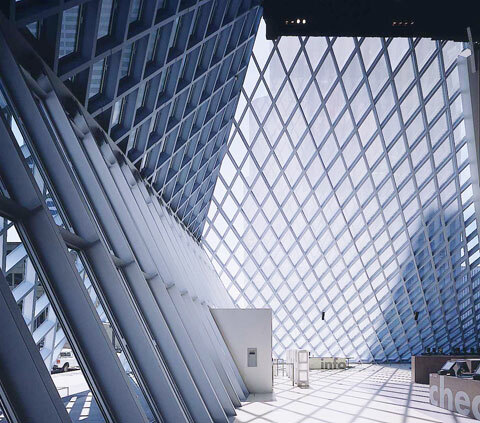 The glazing is partially transparent: The fine-meshed perforation pattern of the insert enables those on the inside to look out, while preventing those on the outside looking in. 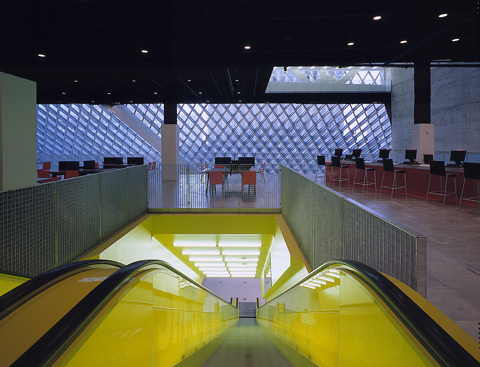 Not only is the expanded metal insert the most striking design element of the façade, it also functions as a directional natural light system. 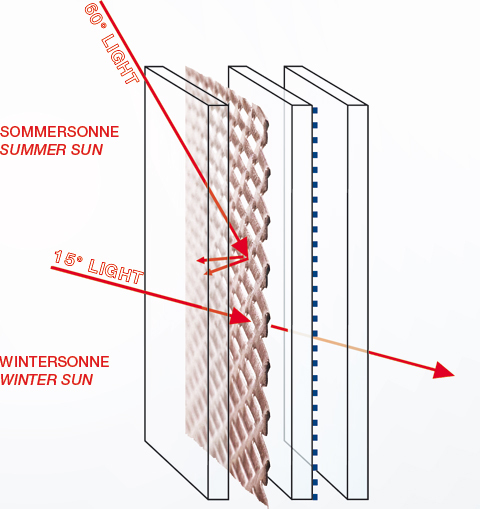 With regard to thermal sun protection, the glazing achieves minimum readings for high angles of incidence on the high sections of the façade (g-readings of up to 0.13 for perpendicular radiation). 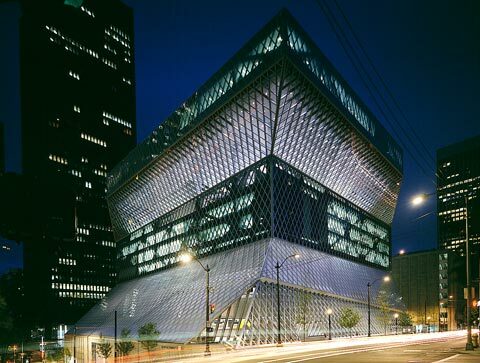 This is due to the numerous, asymmetrically configured metal perforations. They act as miniature shading elements. From both a visual and technological point of view this makes the insulating glazing panel a successful synthesis of sunscreen and transparency. 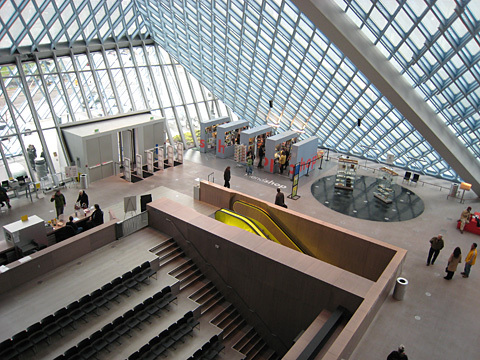 OKATECH is a directionally selective daylight system, mounted with several special metal inlays.